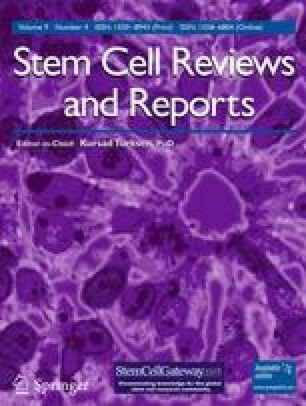 The generation of human induced pluripotent stem cells (hiPSCs) with a high differentiation potential provided a new source for hepatocyte generation not only for drug discovery and in vitro disease models, but also for cell replacement therapy. However, the reported hiPSC-derived hepatocyte-like cells (HLCs) were not well characterized and their transplantation, as the most promising clue of cell function was not reported. Here, we performed a growth factor-mediated differentiation of functional HLCs from hiPSCs and evaluated their potential for recovery of a carbon tetrachloride (CCl4)-injured mouse liver following transplantation. The hiPSC-derived hepatic lineage cells expressed hepatocyte-specific markers, showed glycogen and lipid storage activity, secretion of albumin (ALB), alpha-fetoprotein (AFP), urea, and CYP450 metabolic activity in addition to low-density lipoprotein (LDL) and indocyanin green (ICG) uptake. Similar results were observed with human embryonic stem cell (hESC)-derived HLCs. The transplantation of hiPSC-HLCs into a CCl4-injured liver showed incorporation of the hiPSC-HLCs into the mouse liver which resulted in a significant enhancement in total serum ALB after 1 week. A reduction of total serum LDH and bilirubin was seen when compared with the control and sham groups 1 and 5 weeks post-transplantation. Additionally, we detected human serum ALB and ALB-positive transplanted cells in both the host serum and livers, respectively, which showed functional integration of transplanted cells within the mouse livers. Therefore, our results have opened up a proof of concept that functional HLCs can be generated from hiPSCs, thus improving the general condition of a CCl4-injured mouse liver after their transplantation. These results may bring new insights in the clinical applications of hiPSCs once safety issues are overcome. Samira Asgari and Mohsen Moslem are contributed equally in this work. The online version of this article (doi: 10.1007/s12015-011-9330-y) contains supplementary material, which is available to authorized users. This study was funded by a grant provided from Royan Institute and the Iranian Council of Stem Cell Technology. We also thank Mehran Rezaei, Arefeh Ghodsizadeh, Zahra Farzaneh and Abbass Piriayei for their critical comments. Additionally, we would like to thank the Electron Microscopy Lab at the University of Tehran. None of the authors have any conflicts of interest to disclose and all authors support submission to this journal.